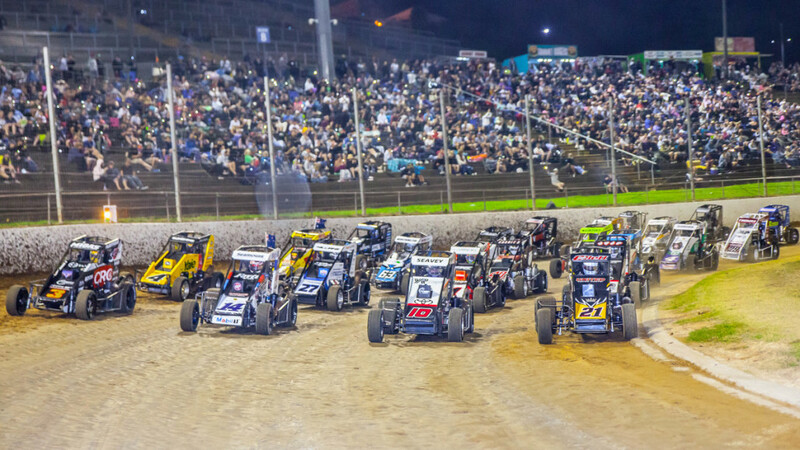 A bumper international series has come at just the right time for Western Springs Speedway as the long-term future of the Auckland venue remains up in the air as council considers where the sport should be based as part of the wider stadia strategy. Huge crowds, record viewing numbers and a line-up of domestic and offshore stars made the recently-completed 2018-19 international series one of the best at the venue. “The thing that surprised me the most was, given the mood you’d expect from everyone with the uncertainty for us, the pleasing comments that were shared with us – the race track was the best they’d ever seen it,” Western Springs Speedway promoter Greg Mosen told the Herald on Sunday. This summer, the series was attended by more than 43,000 fans. Four rounds took place at Western Springs, with one each at Mt Maunganui and Huntly. Crowd figures were up 16 per cent from last year, the third annual increase in a row. Speedway remains Auckland’s biggest summer sporting event in terms of spectator numbers – the capacity of the ASB Tennis Centre limits the numbers the ASB Classic can attract, while the Breakers and Auckland Cricket don’t get crowds in that vicinity. SpeedShift TV – the largest live-stream operator in the United States – ran coverage of the international series which drew more than a million impressions and 500,000 views alone through Facebook. The International Midget Series King of the Springs featuring Nascar stars Kyle Larson and Christopher Bell brought in more than 200,000 views, making it one of SpeedShift TV’s most popular videos of the past year worldwide. “We had people getting up at 4am in the eastern parts of the US to watch this live,” Mosen said. Larson and Bell put on a thrilling series finale with the World 50 Lapper on January 5 before the pair flew home to compete in the famous Chili Bowl Midget Nationals in the US, where Bell completed a third successive win in what is described as the Super Bowl of midget car racing, again beating Larson in the process. Despite crashing out while fighting for the lead in the 50 Lapper, Larson emailed Mosen after the series to say racing at Western Springs was his “favourite thing of the year”. Mosen hails that as a fantastic endorsement from a driver who has contested some of motorsport’s biggest events such as the Daytona 500 and is among the favourites for the Nascar crown this season. “The level of competition – we’ve never had anything like it before,” Mosen said.